From royalty to acupuncture, Runqi Gobulo experienced China at its most turbulent. I have been in Australia for almost a year now. One thing that I didn’t expect before arriving is how interested Australians are in royalty. The popularity of Prince Harry and his family in Australia brought back to me an encounter I had with Runqi Gobulo, the last living member of China’s own Imperial Family and how different our history with royals is. 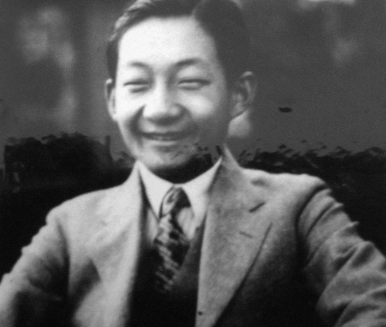 In the 1920s, Prince Runqi was as famous in the press as Prince Harry is today. The black-and-white photos of him in crisply ironed Western linen suit with his head turning wife, Princess Yunying were newspaper favorites back in the day. During his long life, Runqi experienced China at its most turbulent. He was imprisoned in labor camps in both Russia and China for more than 10 years. He survived the Cultural Revolution. Born into power and fortune, he lived as a prince and later as an ordinary citizen, working as a practitioner of traditional Chinese medicine. In 2007, my friend, Mark O’Meara brought me to Runqi’s small family clinic. Like many of Runqi’s foreign patients, Mark would fly from Canada to Beijing to benefit from his renowned acupuncture and cupping, used to treat injures such as whiplash. In the bustling heart of the city, Runqi’s house was an anonymous flat in a concrete apartment block. The stairwell was gloomy and cluttered. Runqi specialized in treating dermatological and gynecological diseases using traditional Chinese medicine. Despite his skill, Runqi’s assistant, Anna Gobulo, told me the clinic did not make any money. For years, the clinic was free. Runqi did not want to charge patients if they were poor. With a pair of brown framed spectacles, a comfy jacket, and a full head of silver hair, Runqi was surprisingly lively for a man of 95. He sat next to his computer, while talking to us. Anna said he loved to use the internet to read about what was happening around the world. China’s involvement in Africa is widely discussed. Less talked about are the lives of Africans living in China.